Where it all begins...after it moves from my brain to action. 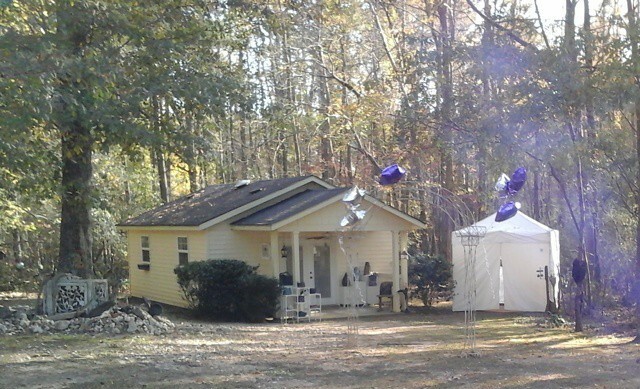 My studio sits on the back of the property and is surrounded by woods on three sides. I have a little "ceramic garden" out under a huge tree where I put pieces that I don't like, that have flaws or other issues. The studio is open for visitors by appointment (404-290-3638). Also, twice a year I host an Open Studio E vent. One is in the Spring, the other is usually the 2nd weekend in December. I am joined by a few artist friends. In November my studio is open for the Southern Hands Artist Studio Tour. As you'll note in some of the photos my studio is a mess most of the time. I clean it up three times a year. Guess when? I've posted a ton of photos! 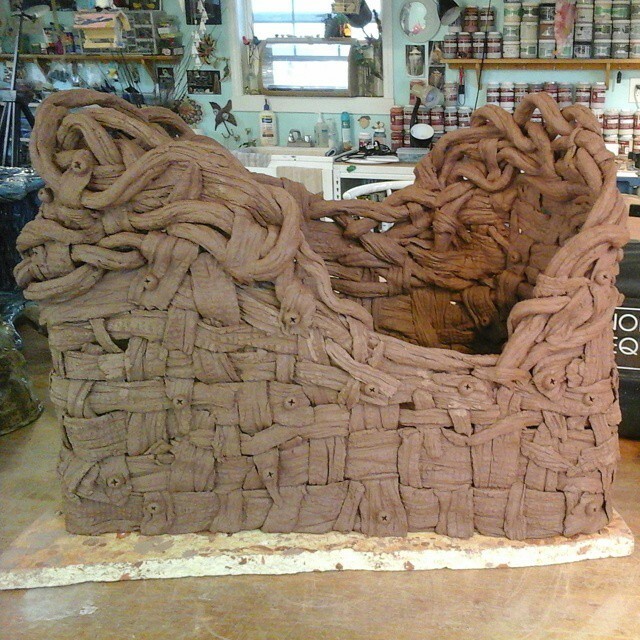 Some of the studio, inside and out, plus ceramic pieces in the making. For more photos of art in the works, check out my page "In the works...". I try to take photos of my pieces as I pull them out of the kiln to share via Instagram. You'll see a smattering of those photos interspersed among the others.